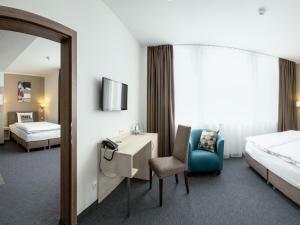 Offering a fitness centre and a sauna, BO Hotel Hamburg is located in Hamburg. You can relax with a drink from the on-site bar. 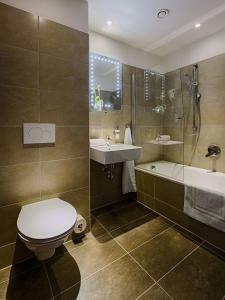 The contemporary rooms feature a desk, a wardrobe and a private bathroom with a bathtub or shower and a hairdryer. Breakfast is served each morning in the communal lounge, with an additional cost. The hotel also offers a 24-hour front desk. 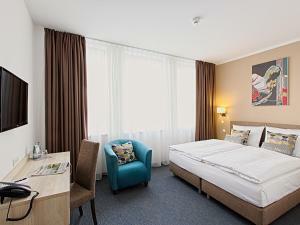 BO Hotel Hamburg is 1.8 km from Hamburg Central Station and 2.3 km from Speicherstadt district, while Hamburg Airport is 10 km away. This single room features a satellite TV and a desk. 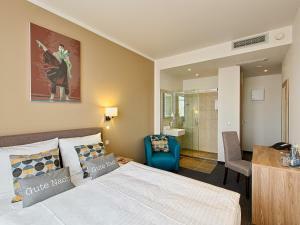 This twin/double room features a satellite TV, a desk and a private bathroom.